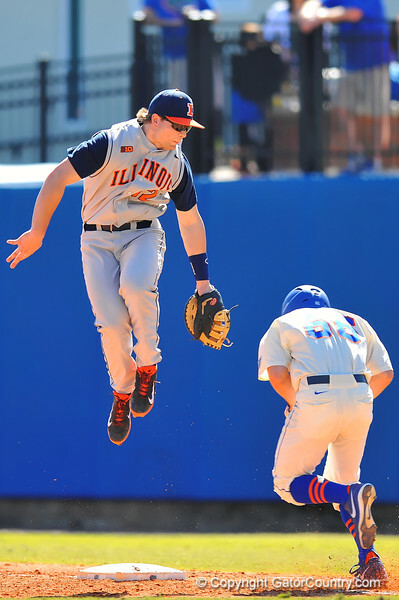 Illinois 1B David Kerian leaps to make the grab on the wild throw as Florida LF Ryan Larson ducks under the tag. Florida Gators vs Illinois Fighting Illini. March 2nd, 2014. Gator Country photo by David Bowie.